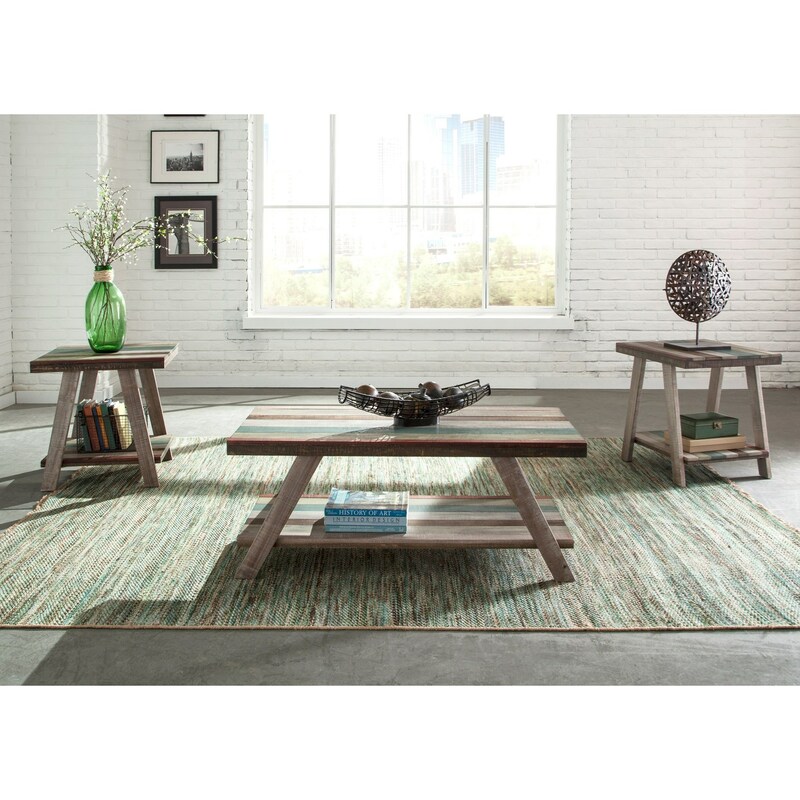 Bring a natural, earthy vibe into your living room with this set of three occasional tables. This set includes a coffee table and two end tables that each feature multi-colored slat table tops and shelves supported by angled legs. Covered in distressing, these tables offer a versatile look that would blend with a variety of styles from rustic to coastal and contemporary to casual. The 28-OT 3 Pack Occasional Tables with Multi-Colored Slat Table Tops by Liberty Furniture at Zak's Home in the Tri-Cities, Johnson City, Tennessee area. Product availability may vary. Contact us for the most current availability on this product. The Boho Loft collection will complete your living room space. Blending an array of rustic and more modern accents, the transitional tables feature drawer space, shelving, and even bottom casters, for extended accommodation and mobility. Completed with a beautiful multi-colored finish, these occasional tables will transform your home style for years to come. The 28-OT collection is a great option if you are looking for Rustic furniture in the Tri-Cities, Johnson City, Tennessee area.